Shopping for quality windshield repair in Cranberry, PA. If you are an automobile owner with a shattered windshield or side window, you already know the glass will need to be replaced, but how much do you know about the glass that will be used to replace it? Unless you are in the business of auto glass or you have an affinity for cars and trucks, you are probably like the millions of other automobile owners who have little to no knowledge about what makes auto glass quality, or not. And while we don’t expect you to be experts, feel confident knowing the auto glass technicians at Three Rivers Auto Glass are the experts! Here is some basic information on auto glass, and why understanding it more can help you make an informed decision when having to replace it. What is Original Equipment Manufacturer (OEM) auto glass? Original Equipment Manufacturer, or simply OEM, is auto glass created by the same manufacturer that made the original glass for your vehicle. For instance, if you own a GMC truck with GMC manufactured auto-glass, you’d most likely lean towards a replacement windshield manufactured by, you guessed it, GMC! What is Original Equipment Equivalent (OEE) auto glass? OEE auto glass, while created by a different manufacturer, is made with the same standards as OEM glass. Does a high-ticket price mean it’s a better product? No. Auto glass pricing is often affected by the current market. Choose glass with top-safety ratings, not because of its top-dollar. Don’t all auto glass manufacturers have to follow the same safety standards? Yes, and no. There are standards enforced by Federal Vehicle safety standards, but these are broad. Some manufacturers meet all expectations, giving them the highest ratings. There are other manufacturers, that meet some of the criteria but will still pass the safety standards. When choosing a brand, this is the type of question you’ll want to ask your auto glass technician. Why is it important to understand the glass in my vehicle? The following are the Pittsburgh windshield brands that we are currently using. Contact us for any of the following, or for more information regarding your vehicle’s OEM! Three Rivers Auto Glass has ave seven locations conveniently located in and around the Greater Pittsburgh area. 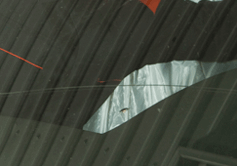 For windshield repair in Cranberry, PA call us at 724-385-8204 or 412-793-5400. Three Rivers Auto Glass Robinson Twp.